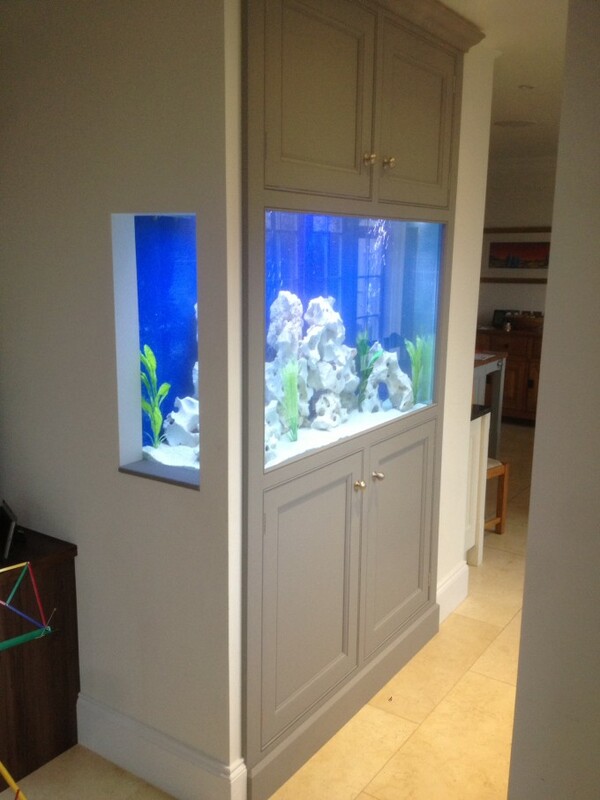 This beautiful kitchen aquarium was built into an existing alcove in our client’s kitchen corridor. What makes it a bit different is that there is a cut out at either end of the aquarium for viewing. The back of the aquarium was sprayed blue to give it a tropical sea effect. We have installed many kitchen aquariums over the years, this is just a recent example.